Hubris, margin loans and starry-eyed investors have led to a cash crunch at $9 bln Leshi. 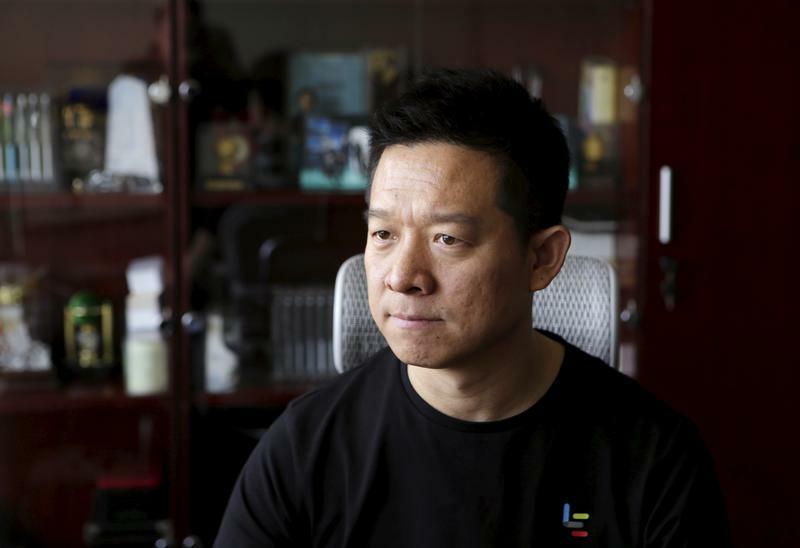 The video-streaming and smart-TV arm of embattled LeEco is now chasing its founder, “China’s Steve Jobs,” for money he owes it. Bad behaviours that converged here will turn up elsewhere too. After a nine-month suspension of trading, shares of China's Leshi Internet Information and Technology, which makes internet-connected TVs, opened down 10 percent, the daily maximum limit, to 13.80 yuan ($2.16) on Jan. 24. Leshi's management told investors at a Jan. 23 meeting that it is seeking equity stakes in the car businesses of its founder and largest shareholder, Jia Yueting, to pay for as much as 7.5 billion yuan in debt that he and his companies owe Leshi. In addition, Leshi said it expects to report a net loss for 2017 and warned that it would run into "operational difficulty" if it does not receive new funds to repay its own debt. Property developer Sunac China Holdings bought an 8.6 percent stake in Leshi in 2017, becoming the second-largest shareholder of the Shenzhen-listed company behind Jia's 25.7 percent stake.